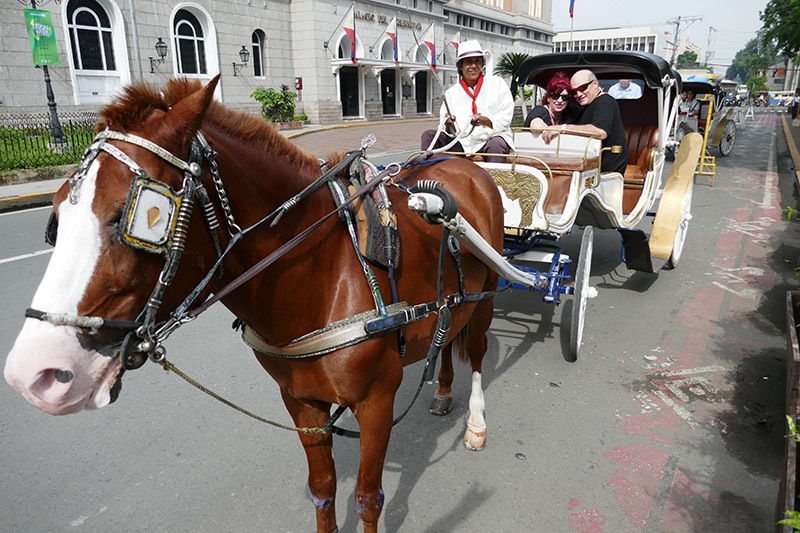 People are more than likely to spend 48 Hours In Manila on their way to some of the world-class islands like Boracay and Palawan, but there is a lot to see in Manila. As the capital city of the Philippines, Manila is chaotic yet a strangely likable city. The traffic will drive you mad. The poverty next to the riches will confuse you, but the Filipino hospitality will make you forget a lot of this very quickly. Metro Manila is the metropolitan area and has many districts like Pasay Makati, Mandaluyong, Muntinlupa, Parañaque, Quezon City, and Taguig. There is a unique history to the city that involves the Spanish, the British, the Japanese and the Americans. The influences of each are noticeable, but the Pinoy spirit is even more evident. By day the city is a melting pot of the equatorial heat, and the freezing mega malls. By night Manila is one of the most engaging cities, with some of the most incredible restaurants, and night clubs to rival any in the world. Try some of the local foods like adobo, which that involves meat, seafood, or vegetables being marinated in vinegar, soy sauce, and garlic, browned in oil, and simmered in the marinade. Another classic dish is lechon or the suckling pig. If you are game, try the balut or duck embryo. Jeepneys are long-wheel-base jeeps that will take you to many destinations. It is confusing as the destinations are written on signboards stuck in the window. Locals get it, but we tourists have difficulty. 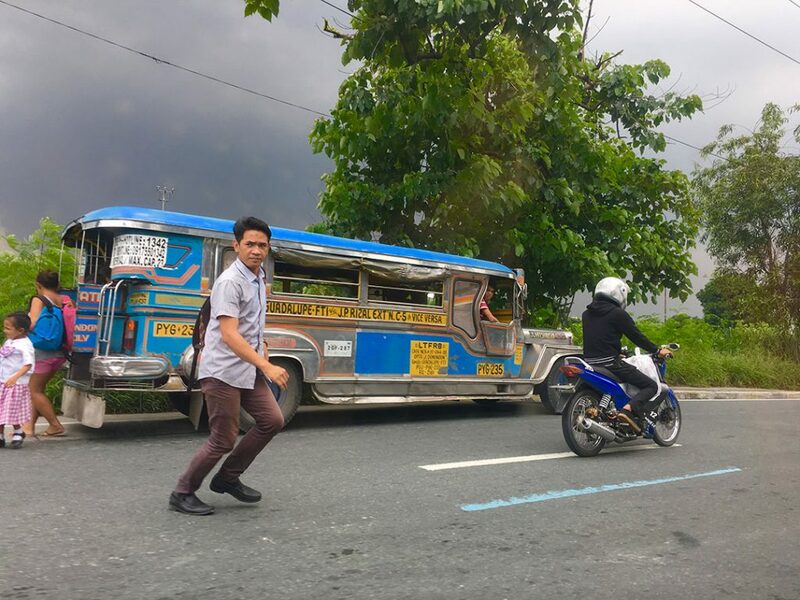 It is worth a ride in a jeepney because they are super cool to look at, and it is a uniquely Filipino experience. Use metered taxi’s so you don’t get scammed, but we still did because we did not lock the fare in firmly enough. Be firm but fair when negotiating. Tricycles and pedicabs are mostly used by locals, but are a good source of fun to see how many people will fit on these. Take a jeepney, the iconic local bus,This is where you will see the Spanish influence on the city of Manila. 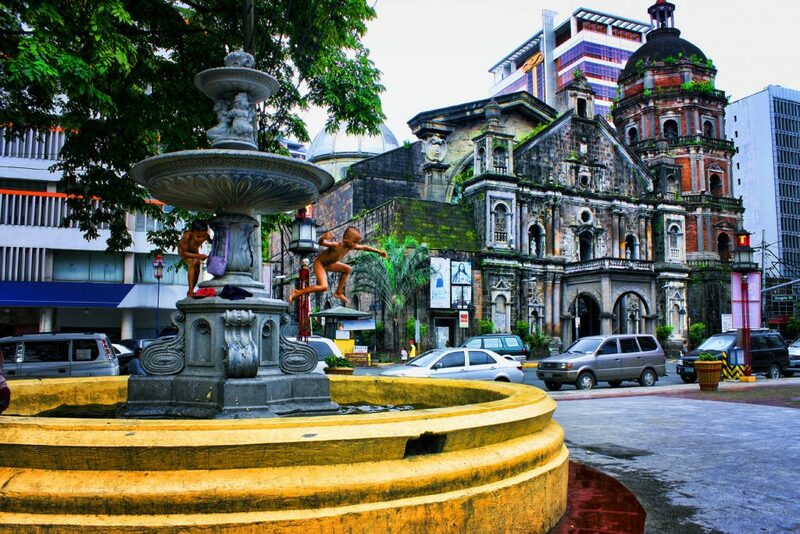 Intramuros is a 64-hectare citadel of cobblestoned streets, leafy plazas, and charming colonial houses. The best and most iconic way to see this area is by horse drawn carriage. Touristy? Yes, but a pleasant way to get around the area. 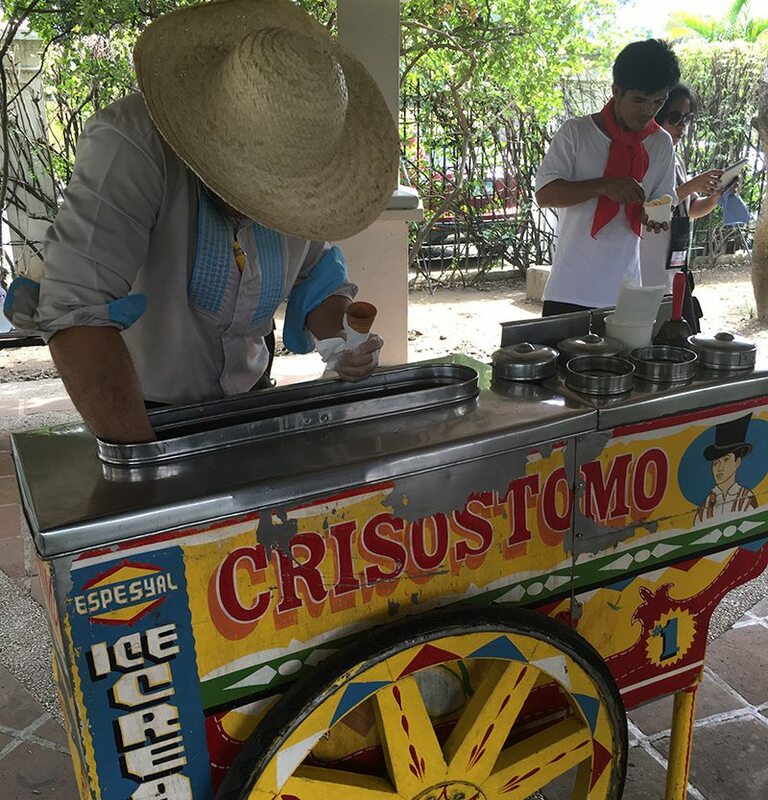 Visit Fort Santiago, which affords an excellent view of part of this enormous city, and enjoy the beautiful gardens. It is worth stopping at the shrine of Jose Rizal, a national hero of the Philippines, who was imprisoned here before his execution in 1896. 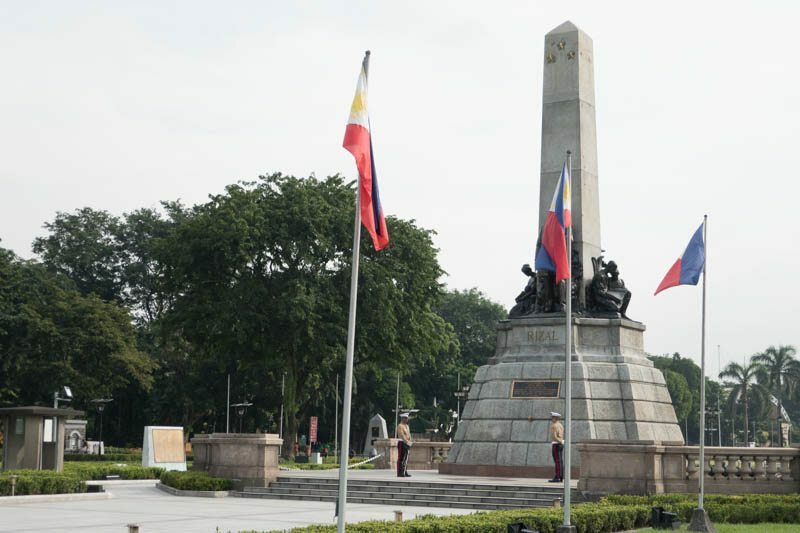 The Rizal Shrine is dedicated to its life and work. As you explore Rizal Park, you are likely to come across different dance groups who use this space. Café Juanita is very authentic Filipino food. This is where you can try the adobo, the deep-fried asohos or whiting, and taro leaves in coconut milk. Catch a metered taxi to a mega mall, purely because you can and should. 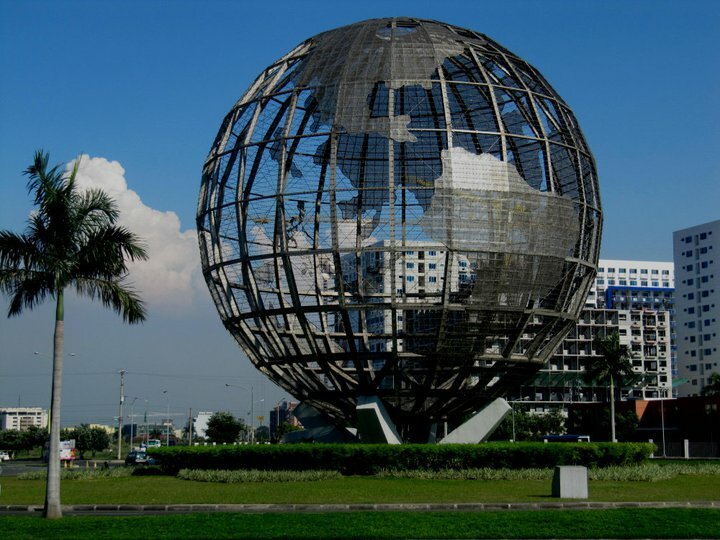 Manila has 16 megamalls, and the Mall of Asia is the largest in the Philippines and the 7th biggest in the world. These malls amount to the public space for the people, and the Manileños love to shop, or at the very least to walk arm in arm around these mega spaces. Aim for a late dinner, as you will be going to experience Manila’s very good night life after this. Start with a Singapore Sling at Long Bar, Raffles Manila in Makati. To avoid having to face the traffic again, have dinner at Fairmont Makati and enjoy a Spanish inspired tapas meal at Spectrum. Now you are ready for some Chaos in your life. 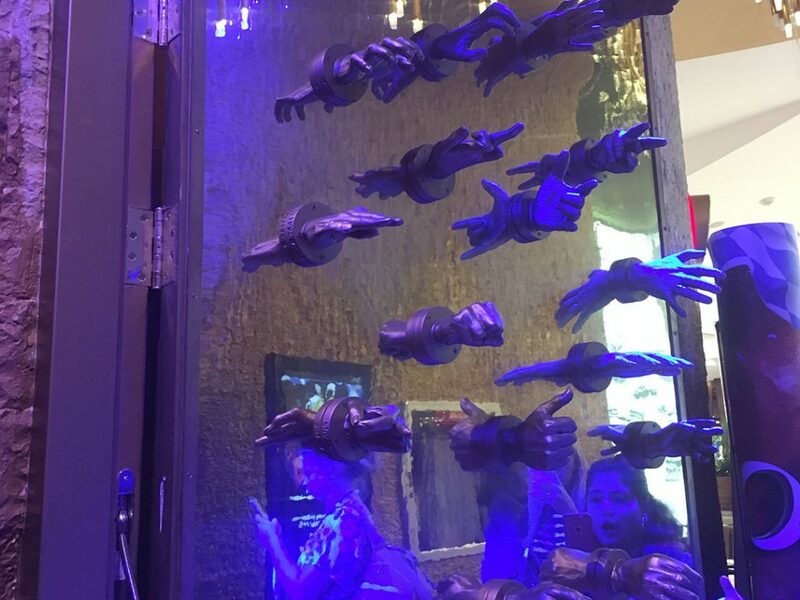 This is the name of the night club in the Hyatt City of Dreams complex. Featuring some of the world’s best DJ’s and acts, you will find yourself forgetting the traffic. This is where you see how different Manila is. You would have driven through some destitute areas, to arrive at a Las Vegas on steroids area of Manila. Start the day a little later than you normally would; traffic and the night club late night you just had. Head to Binondo. This is Manila’s Chinatown and is in fact, the world’s oldest Chinatown. It was established in 1594 and is a frenzied maze of streets, people, and vendors. When Anthony Bourdain came to Manila for the Philippine episode of No Reservations, he went on a guided food and walking tour of Chinatown. Old Manila Walks have some excellent walks and guides who can explain some of the intricacies of Filipino/Chinese cuisine. 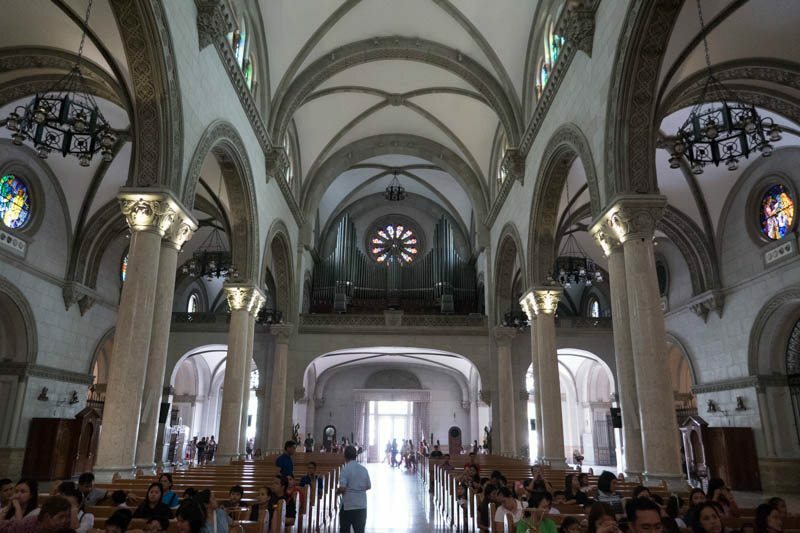 The tour takes you along Plaza Calderon de la Barca, Basilica de San Lorenzo Ruiz, Ongpin Street, through to the traditional Chinatown shops and restaurants and onto Carvajal Alley Market. You will be sampling food the entire walk. Because you are curious, visit the shoe museum. 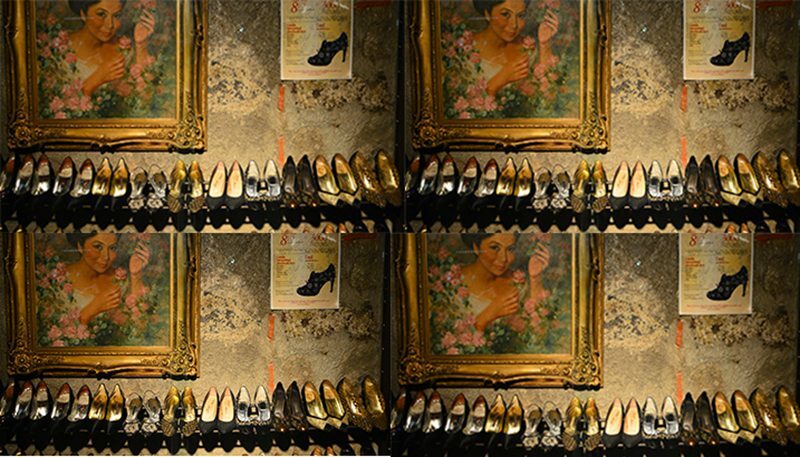 Thanks to the shoe fetish of Imelda Marcos it is worth a visit to the Marikina Shoe Museum. It is located in the heart of Manila’s shoemaking district, so guess what? Yes, you now go shoe shopping yourself and pick up a pair or more. Hit up a bar. Cable Car, Borough, El Chupacabra and Draft are all recommended. If you are up for it, there are 3 night clubs located in The Palace in Bonifacio Global City, called Revel, Valkyrie and Pool Club. Bonifacio Global City is a financial district in Taguig City in Metro Manila. There are many ways to spend 48 hours in Manila, and these suggestions will give you a good starting point. 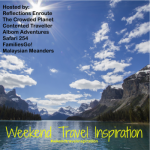 Please join us in the Weekend Travel Inspiration. Just add your link to the blue button below, comment on as many of the other blogs as you can, and promote on social media. Copy the image onto your blog so people know you are a part of this group. 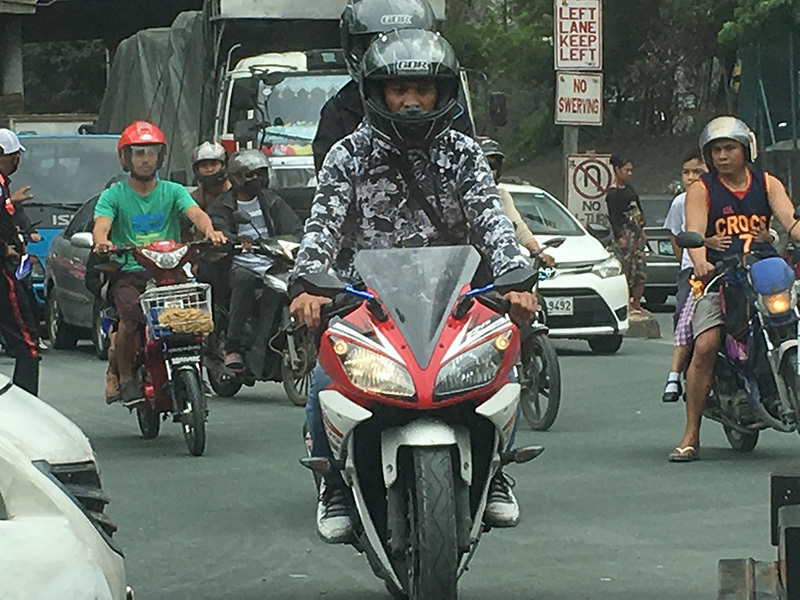 Manila can certainly be fun, but it is a very deeply flawed city, basically nothing works, the population has simply overwhelmed everything from transport to housing to power supply. Both my parents are from Manila, and I still have a lot of family there. When we visited, we did many of your Day 1 activities, except going inside the cathedral because a wedding was going on at the time. The rest of our trip was spent visiting both side of the family. I agree that the Manila malls are massive. In your Facebook photos during your trip, I recognized the ferris wheel and knew exactly where you were. I really wanted to go to the Church when Mass was on, as I understand it is very special. Seems like a great 48 hour itinerary! I’ve never visited the Philippines, but I have heard so many wonderful things about their food (adobo in particular!). I hope I can visit one day! and the people – they are the biggest drawcard in my opinion. They are so hospitable. 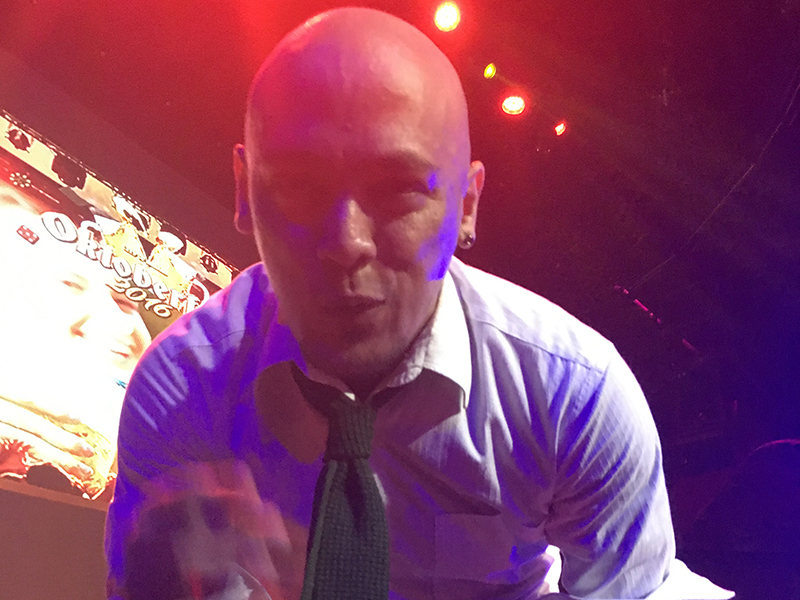 Thanks for the explanation and advice on Manila. Your insights are valuable to travelers visiting the Philipines. Thanks Rhonda, Manila is a funny little place. Jack fruit and cheese together and in an ice-cream… an interesting flavour indeed 🙂 Enjoyed reading your 48 hour guide to Manila. Wishing you a great travel year in 2017! Yea, Imelda Marcos became famous for her shoe fetish. In Romania we used to call “Imeldas” the women who loved shoes too much. It must have been quite interesting to visit the Marikina Shoe Museum. Hope you have a great year in 2017, Paula, and many happy travels. In Australia we also called women with lots of shoes “Imeldas” – she certainly captured the worlds attention for that reason. Have a fantastic 2017 Anda. We are supposed to return to do the beaches and islands in 2017. Will keep you posted.